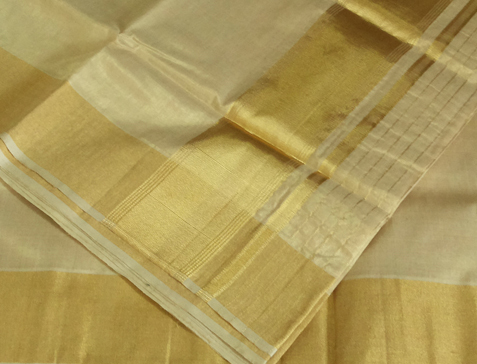 Home to the native Pardesi Jewish community in Kerala, Jew Town is lined by old Jewish homes on either side of a narrow street leading up to the historic synagogue. Take a walk along the Jew Town and you can breathe antiquity. 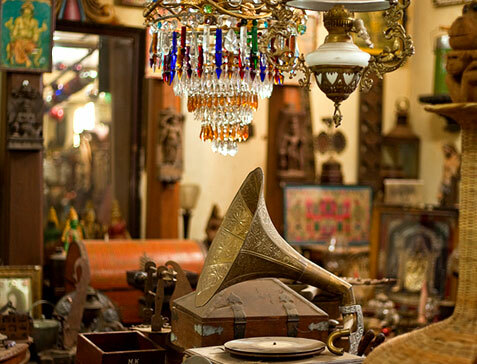 The curio and antique shops along the street are capable of enchanting the visitors with their variety and rarity. A big 'vaarpu' (bronze vessel) almost three metres in diameter is one of the major attractions here. 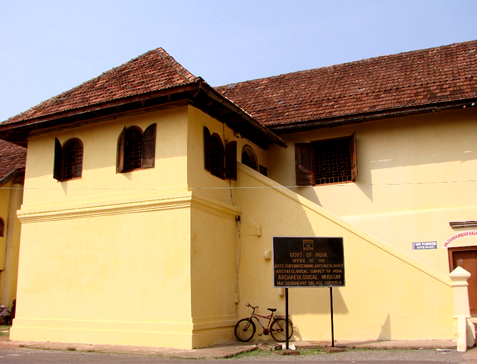 Mattancherry Palace, also known as the Dutch Palace in Mattancherry, Kochi, with its medieval charm, features Kerala murals depicting Hindu temple art, portraits and exhibits of the Rajas of Kochi. These fishing nets are fixed land installations introduced by Chinese explorer, Zheng He from the court of the Kubla Khan. 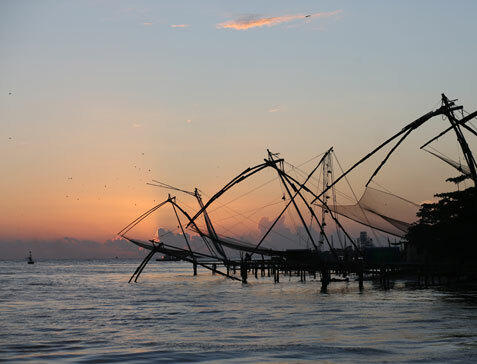 The Chinese fishing net is believed to have been introduced to the Kochi shores as early as 1350 AD. 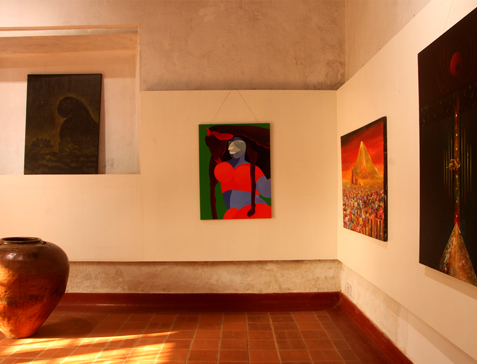 A must see when you are exploring Fort Cochin's heritage. 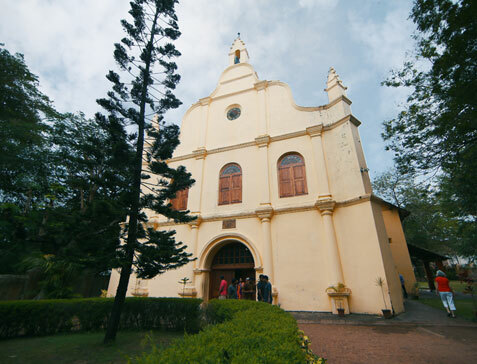 St. Francis Church, originally built in 1503, is the oldest European church in India and has great historical significance as a mute witness to the European colonial struggle in the subcontinent. It is said to be the church in which Vasco da Gama was buried first before his remains were moved to Lisbon. David Hall was built around 1695 by the Dutch East India Company. The hall is named after David Koder, a Jewish business man. Today David Hall is a popular garden café serving the best Pizzas in town and its gallery has exhibitions of young and upcoming artists. 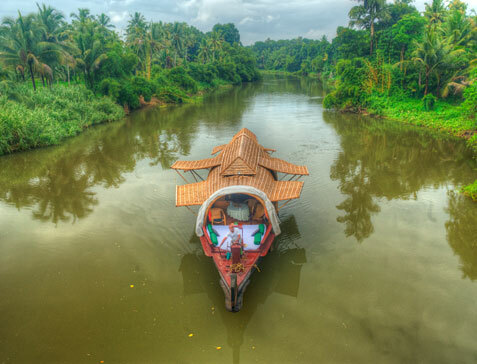 Enjoy the scenic view of the Kerala backwaters. Watch the palm trees sway in the breezes coming over the rice fields, as a cormorant passes overhead. Hear the sharp music of the birdcalls and feel the gentle slap of water knocking at your door. 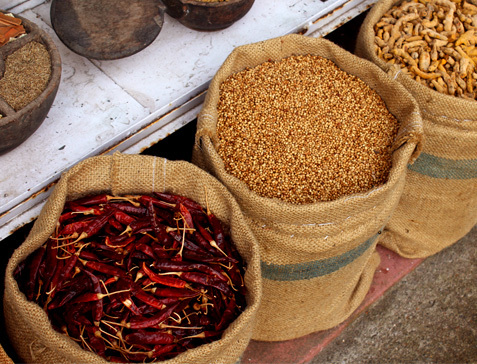 Shopping in the city is an exciting experience with visits to the modern Lulu Mall, traditional Kerala textile stores and spice markets.